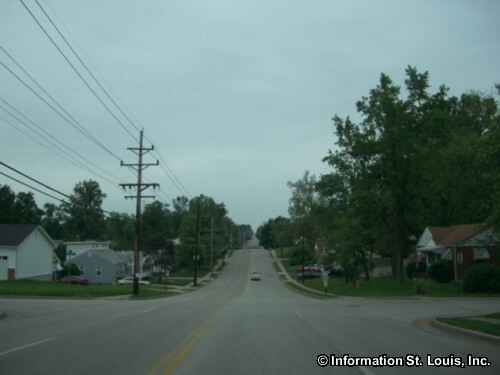 The City of St Ann Missouri is located in Mid St. Louis County, about 27 minutes west of Downtown St Louis via Interstate 70. 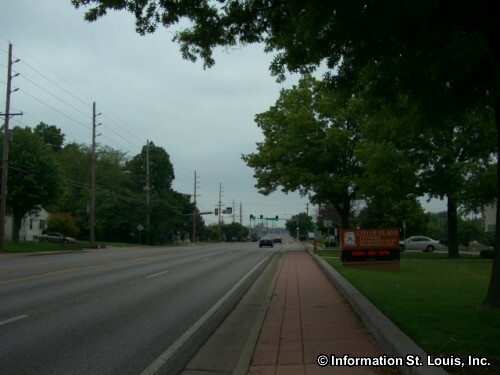 Important roads for the community are St Charles Rock Road, Ashby Road, Adie Road, Cypress Road, Old St Charles Road, Breckenridge, Interstate 70, Lindbergh Blvd/Highway 67 and others. The City was officially incorporated in 1948. 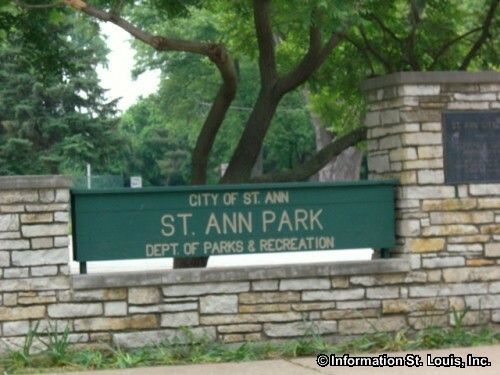 The population of St Ann was 13,020 residents in 2010. 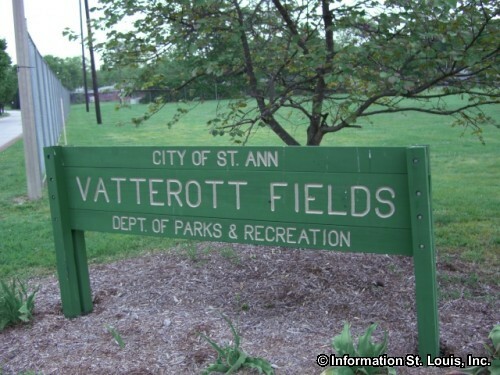 The residents of the St. Ann community are served by two school districts, the Pattonville School District and the Ritenour School District. Pattonville has one early childhood center, six K-5 elementary schools, one K-8 traditional school, two middle schools, one alternative high school and Pattonville High School. Holman Middle School and Drummond Elementary School are located within the borders of St. Ann. The Ritenour School District has one early childhood center, six elementary schools, two middle schools and Ritenour High School. Hoech Middle School and Buder Elementary School are located within the St. Ann community. Student's school attendance is determined by their home address. Two private K-8 schools are also located in St. Ann, Hope Lutheran School and Holy Trinity Catholic School. 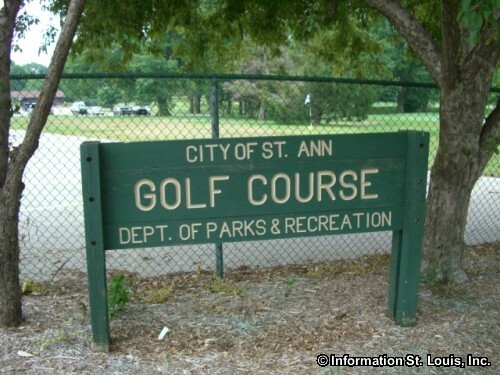 The City of St. Ann offers many opportunities for recreation. The city maintains six parks for a total of 92 acres of parkland. Those parks include such amenities as playgrounds, pavilions and shelter, picnic facilities, tennis, sand volleyball and basketball courts, walking trails, athletic fields for baseball and soccer, swimming pools, roller hockey rinks and more! 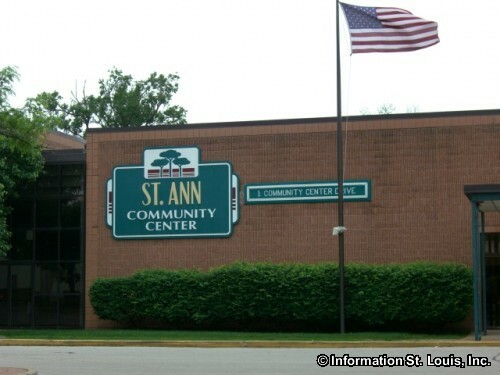 St. Ann also has a Community Center which not only provides rooms for meetings or special occasions, but it also has a gymnasium for basketball or volleyball; a game room with pool, foosball and ping pong tables; a weight room with exercise machines and free weights; a sauna and racquetball courts that can be used for handball and wallyball as well. 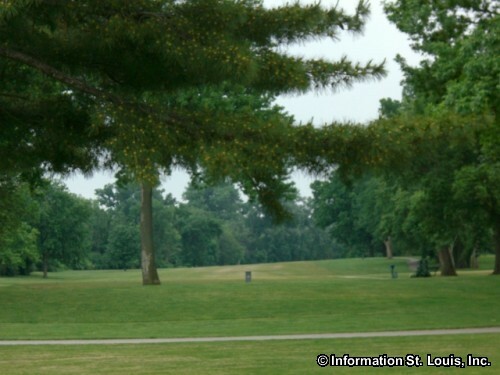 The St. Ann Golf Course is available to the general public and is a 55 acre, 9 hole course. The city hosts several annual community events. One of them is the St. Ann Day Parade and Festival during the month of September. 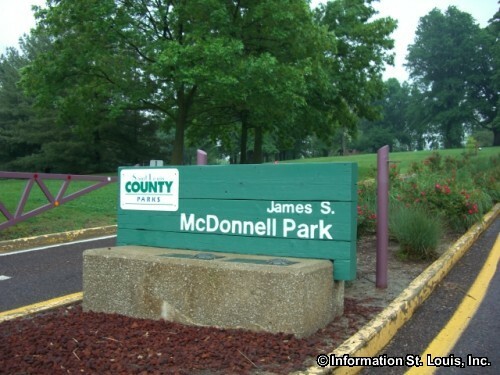 Another is the monthly "Party in the Park" concerts that are held during the summer months at Tiemeyer Park. The Autumn Arts and Crafts Fair is held in November at the St Ann Community Center. And for St. Ann residents only, an Easter Egg hunt is held on the Saturday morning before Easter. 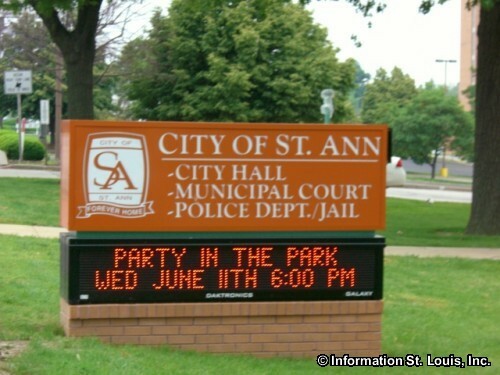 The City of St. Ann has an interesting beginning. In 1942, it was the idea of Charles F. Vatterott to develop a community made up the workers of the nearby defense plants and their families. He was the developer and the builder of the homes and the businesses in the original site of the city that was dedicated to Saint Ann. What began as a housing project continued to grow into a permanent town and was offically incorporated in 1948 as the City of Saint Ann. 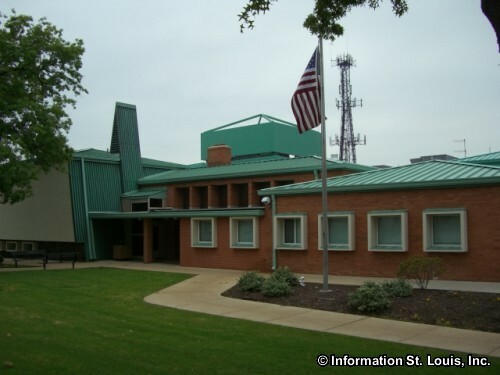 A unique St. Louis County Landmark is located in St. Ann. 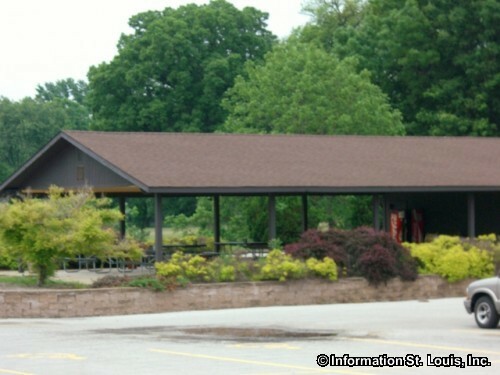 There once was a drive-in movie theater on St. Charles Rock Road, the Airway Drive-In, built in 1948. There was only one screen, but the parking lot could hold up to 1,000 cars. 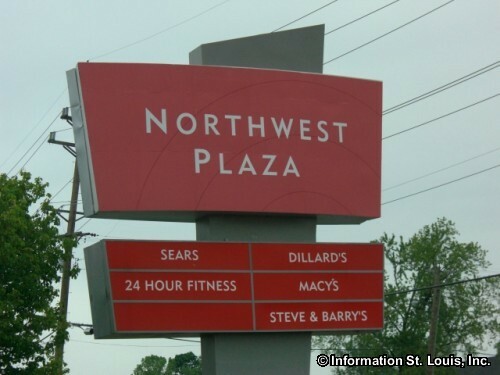 Today, the movie screen is gone and the lot now holds a Shop 'n Save store, but the sign is still there. The landmark is the Airway Drive-in Sign. The City of St. Ann recognized its historical importance and it has been restored and adapted for use by the Shop 'n Save Store. 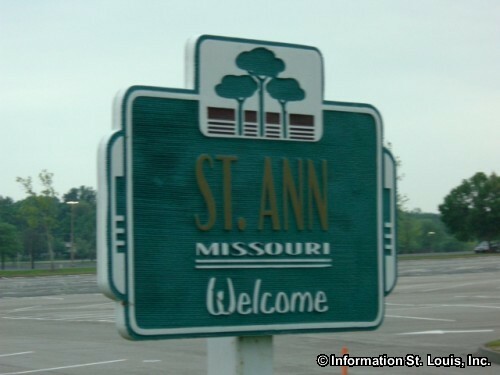 Welcome to St Ann Missouri!